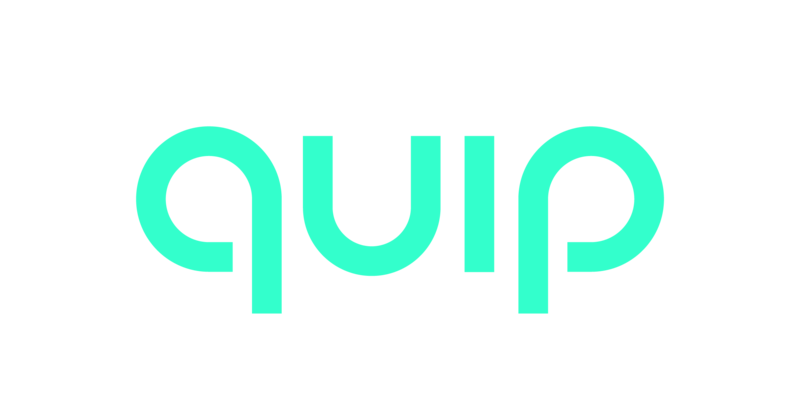 Please contact help@getquip.com to initiate a return and/or refund as quickly as possible. Do not attempt to send back your quip without contacting us first. If your experience with quip isn’t love at first brush, we totally understand. The best brush for you should be one that’s enjoyable and comfortable to use, so personal preference is key (regardless of cost or features). Learn more at Consumer Reports. We can provide a full product cost refund (less any incurred shipping costs) within 30 days of purchase. Email us to confirm our return address and an RMA number for your package. Return postage is not included, but if you’d like a prepaid shipping label, we can issue one and deduct the cost from your refund: $5 for one quip, $10 for two, and $15 for three-four maximum. Before you ship, please record your personal tracking number or request a tracking receipt as we cannot issue a refund for lost items without proof of tracking. We can also provide a full product cost refund (less any incurred shipping costs) for international orders within 30 days of purchase. Return postage is not included, and we are unable to issue international prepaid shipping labels. Before you ship, please record your personal tracking number or request a tracking receipt as we cannot issue a refund for items we do not receive. We provide a full product cost refund for refill orders too (less any incurred shipping) within 30 days of purchase. Please email us to confirm our return address and an RMA number for your package. Return postage is not included, and we are unable to issue prepaid shipping labels. The guidelines above only apply to items purchased directly from quip through our web store, not through retail locations or any third parties. If you would like to return your quip that was purchased from a retail store, you'll need to contact the retailer to proceed with a return and refund. All items purchased from quip popup locations and events are non-refundable.